Sit up straight and learn the secrets behind future back, neck, hip and joint pain. These simple fixes can save you from a lot of hurt in the long run. Do me a favor and take a moment to address how you're sitting. Do you need to straighten up? Posture is something we've all heard about, told we needed to work on and then just waved away for more comfortable sitting positions. Or we've tried improving it but after hours on the computer, phone or at the gym, there's not much to be said about how we look. The idea of "posture" lies in either standing or sitting straight as opposed to slouching but it can be more complicated than that. An article for PainScience gets much more technical about things. Paul Ingraham, the author and former massage therapist, explains that posture is how your body keeps you upright and "poor posture is an unnecessary and problematic pattern of physical responses to postural challenges". Ok, to put that in simple words - poor posture is lazy. When you stop correcting your posture when you're lazy (only sitting straighter at the beginning of the day when you have more energy), you will have more difficulty correcting your posture when you're older (not being able to sit straight even at the beginning of the day). Now that you know the importance, you need to know how to fix it. It's not a timely process, but rather being more mindful about how you're positioned most of the day. You can work-out your posture with the rest of your body. Add in some mindful stretches to your workouts to keep you balanced out. You can also stretch at your desk, simple twists to your back, and rotating your neck will help relieve stiffness and energize muscles. Standing or sitting straighter doesn't mean being uncomfortable. Adjust your posture by aligning your body, evenly distributing your weight. That doesn't mean you can't relax against the chair back. However, sitting in one position for too long is tiring and stiffening so if you have been resting, trying moving to the edge of your chair to sit without the support for a while. You may feel more energized. When you start to slump, move back. It may be strange for a bit if you're used to sitting in other positions while you work but it shouldn't be uncomfortable. Remember to your legs too as it can cut off blood flow and may put pressure on ankles. Remember to take a break after sitting for long periods of time to adjust your sitting position. Moving lets you build up more energy and refocus on everything from your work to posture. It also gives you a moment to identify anywhere you're stiff so you can better fix problem areas. These small changes can add up to some big pain relief in the future. It's important to know that while this will help you maintain good joints and muscles into old age, it's not a complete fix. 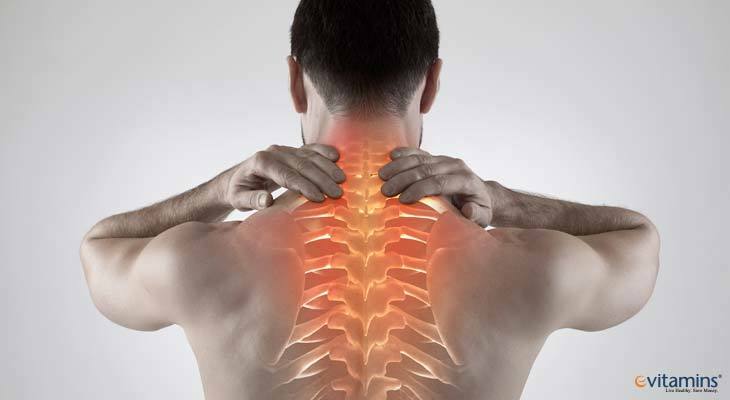 If you still have pain in your back, neck or other areas, see a professional. Being mindful of your body will keep you moving the older you get. Dr. Matt Marturano, ND is a licensed naturopathic physician and received his Doctorate of Naturopathic Medicine from the Southwest College of Naturopathic Medicine and also has a dual Bachelor of Science in Biology and Philosophy from the University of Michigan. In addition, Dr. Marturano currently is a member of the Michigan Association of Naturopathic Physicians and is the Director of Recruitment - Integrative Medicine for Orchid Holistic Search.